How will Pope Francis respond to Ireland's cries? Five months ago, almost to the day, over a million young people flocked to hundreds of rallies around the United States and other parts of the world. They were expressing solidarity with the victims of 19-year-old Nikolas Cruz’s gun attack on his former school in Parkland, Florida the previous month. Seventeen people - 14 students and three teachers - had died in the attack and the same number had been injured, sparking a groundswell of calls for tighter gun control laws in the United States. Those March for Our Lives rallies crystallised the mood for change. The following day, the 81-year-old Pope Francis lent his support to all young people who speak up about the state of the world. "….never get tired of being instruments of peace and joy among your peers!" he told them on @Pontifex. Addressing thousands of listeners in St Peter’s Square he warned that the temptation to silence the young had always existed. "There are many ways to silence young people and make them invisible," he elaborated. "Many ways to anesthetise them, to make them keep quiet, ask nothing, question nothing. There are many ways to sedate them, to keep them from getting involved, to make their dreams flat and dreary, petty and plaintive." The Argentinean Pope might do better than dust down his springtime paean to integrity as he prepares to return to Dublin where, in 1980, he spent 23 days with fellow Jesuit priests in Milltown Park. The community has a record of lending the then Father Jorge Mario Bergoglio £17 for the purchase of a set of teach-yourself-English cassette tapes. Today, such tapes are curiosities, almost qualifying as museum pieces. And so, some might quip, are many of the attitudes and practices that dominated the official Catholicism in the year after the last papal visit to these shores. Pope Francis won’t need his fellow Irish Jesuits to tell him about the alienation from the institutional Catholic Church here, particularly among the young. Nor that it extends deep into the older ranks of the church membership. His host at Dublin’s World Meeting of Families (WMOF), Archbishop Diarmuid Martin identified the proximate cause of the current crisis when he told last Sunday’s massgoers at the capital’s Pro Cathedral that it is not enough for Church leaders just to say sorry for the sexual abuse of children by clergy. He insisted that the structures that permit or facilitate it must be broken down forever and everywhere. And, visibly exasperated, he wondered why such a simple affirmation had to be repeated so often. He said the scandals had produced deep-seated resentment among believers and anger at the role of Church leadership in compounding the suffering of many in institutions for children, unmarried mothers and vulnerable women. Clearly smarting under the burden of itemising the Church’s wrongdoing, he continued: "These were people who found themselves placed in the care the Church to be loved and respected but who so often encountered extraordinary harshness. "What is worse, they were in the main poor and vulnerable people, those who should above all have been the privileged recipients of what the love and care of Jesus Christ mean. I keep asking myself what it was in Irish Catholicism that led to such a level of harshness." He continued: "When you add up all the categories of victims, you can see that the number was immense. We still only know the identity of some. It is not something that belongs to the past but a hurt that survivors and those close to them carry in their hearts every day of their lives." Nearby, the perpetual candle which is lit to commemorate victims of abuse in the Catholic Church flickered. It is before it that Pope Francis will kneel tomorrow to pray in silence. In a less-reported passage of the homily, Dr Martin began to excavate the root of the problem. Observing that the anger among Catholics here is not just about abuse, he said it was "also about a Church that was authoritarian, harsh, autocratic and self-protecting. Rather than bringing the liberating message of the love of God, it imposed a world of rules to such an extent that it lacked respect for the personal life of many and especially of women. "We experienced a Church that felt that it knew all the answers. We experienced a Church that failed to form mature consciences and help men and women grow in discerning a mature faith. Faith requires rules and norms but there are also occasions where empty rules alienate people from Jesus himself." But he also praised the very many good priests and male and female religious who never sought anything for themselves while serving God faithfully. And he lauded the Church's great families whose generosity and fidelity enrich society even though those qualities are very often unrecognised. There are signs of the progress that has been made since the child abuse scandals in the Catholic Church erupted into public view here 24 years ago. The Church’s watchdog, the National Board for the Protection of Children in the Catholic Church in Ireland, says that when it last audited the country’s 26 dioceses they had diligent child protection teams and procedures. But the board, which has no power to subpoena documents or witnesses, says ruefully that if it had been told during its inspection of the diocese of Dromore in Northern Ireland what the BBC Spotlight programme told the public last Spring, it would not have given it a clean bill of health. The BBC revealed that Bishop John McAreavey had celebrated mass publicly with the notorious abuser, the late Fr Malachy Finegan, in the parish of at least one of his child victims, despite Finegan's banishment from public ministry because of his sexual crimes against boys. They had been perpetrated in the large diocesan boarding and day school, St Colman’s in Newry, where he was president, and in a rural parish he administered. Bishop McAreavey’s resignation was accepted but, in line traditional Vatican secretiveness, no specific reason was given for letting him go. Former President Mary McAleese, one of whose brothers had been physically abused by Finegan in St Colman’s called on Pope Francis to visit the traumatised diocese. But he’s not travelling to Northern Ireland during this final weekend in August. The immediate lead-up to the Irish visit has been engulfed in what a Vatican official on Tuesday called a "perfect storm". Although his principal reason for coming is to celebrate mass for up to half a million worshippers to close the three-yearly World Meeting of Families, a rash of abuse scandals have shaken the global Church. They involve bishops concealing cases of clerical child sexual abuse from members of their dioceses and the state authorities in Australia, Chile and the US. Last Tuesday’s blistering Grand Jury report in Pennsylvania prompted Pope Francis to write an unprecedented letter to the world’s Catholics promising that no effort would be spared to prevent child abuse and its concealment in the Church. Perhaps more damaging in the long run was the revelation by the diocese of New York that, as a young priest, the retired Archbishop of Washington DC, Theodore McCarrick, had sexually abused a boy. McCarrick took the unprecedented step of resigning from the Pope’s highest council of advisers, the College of Cardinals. McCarrick’s successor in Washington DC, Cardinal Donald Wuerl was found by the Pennsylvania grand jury to have covered up abuse in Pittsburgh. He countered that he had acted diligently and in the interests of child protection. Then, without issuing a statement, he cancelled a key speaking engagement at the WMOF. Intensifying the pressure on Catholics, especially the 37,000 attending the WMOF, another US cardinal, Seán O’Malley of Boston, also cancelled his engagement at the Dublin event. The Archbishop of Boston heads up Pope Francis' Commission for the Protection of Minors. He explained that he had to give his personal attention to sorting out an alleged abuse scandal in his diocese’s main seminary. The US Bishops' Conference has asked the Vatican to launch a novel investigation into the latest scandals which would involve lay Catholic investigators. The gathering storm makes the visit of Pope Francis to Ireland one of the most challenging weekends of his five-and-a-half years in office. His audience here and abroad, especially where the scandals are freshest, will be watching for evidence that, having confessed his own unspecified sins in the affair in last Tuesday’s letter to the world's Catholics, the Argentinean Pontiff has a convincing programme for action. 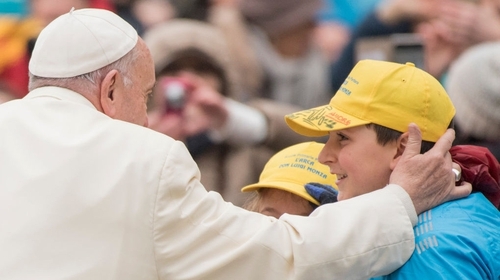 Last Sunday the Pontiff’s host in Dublin, Archbishop Diarmuid Martin, complained that the Pope’s four-year-old Commission for the Protection of Minors is too weak to get its teeth into the crisis. It would be surprising if Pope Francis did not take Dr Martin's advice and beef up the commission. Already, Dubliner Marie Collins, one of the two abuse survivors appointed to the body in 2014, has resigned in protest against what she says was the strangulation by top Vatican bureaucrats of the Pope’s declared policy of trying bishops suspected of concealing child abuse in a special tribunal. * (and) the dark experience of vulnerable women in places meant to be residences of refuge." * "Sadly, as has been highlighted (in Ireland), cover-up, wilful or otherwise, and mismanagement compounded the damage, adding to our shame." It would be surprising if Pope Francis did not address Dr Leahy’s list when he meets abuse survivors, his Irish bishops and Taoiseach Leo Varadkar. The Limerick list and Archbishop Diarmuid Martin’s cries for an explanation for the authoritarianism of his Church will provide much material for the papal addresses which are expected to be delivered on Sunday to large throngs of the faithful in Knock, Co Mayo, and in Dublin.